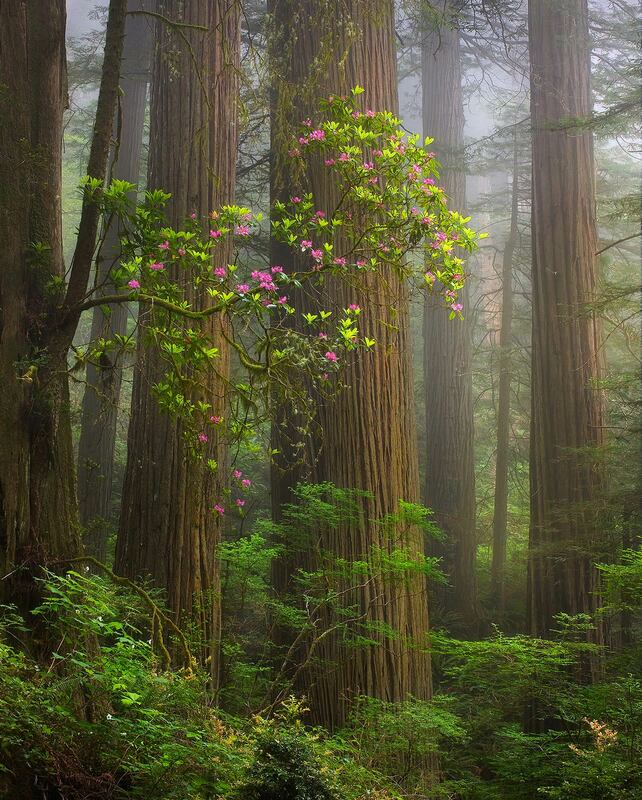 A beautiful Rhodedendron the centerpiece of this redwood scene in morning fog. I was drawn to the array of colors, lines and atmosphere here in Redwoods State Park, California. Photo © copyright by Marc Adamus.